Longstreet Clinic is committed to preserving the privacy and confidentiality of your health information that is created and/or maintained at our clinic. State and federal laws and regulations require us to implement policies and procedures to safeguard the privacy of your health information. This Notice will provide you with information regarding our privacy practices and applies to all of your health information created and/or maintained at our clinic, including any information that we receive from other health care providers or facilities. The Notice describes the ways in which we may use or disclose your health information and also describes your rights and our obligations concerning such uses or disclosures. B. USES AND DISCLOSURES OF HEALTH INFORMATION FOR TREATMENT, PAYMENT, AND HEALTH CARE OPERATIONS. 1. Treatment, Payment and Health Care Operations. The following section describes different ways that we may use and disclose your health information for purposes of treatment, payment, and health care operations. We explain each of these purposes below and include examples of the types of uses or disclosures that may be made for each purpose. We have not listed every type of use or disclosure, but the ways in which we use or disclose your information will fall under one of these purposes. a. Treatment. Your health information will be used to provide you with health care treatment and services. We may disclose your health information to doctors, nurses, nursing assistants, technicians, medical and nursing students, or other personnel who are involved in your health care. For example, if we need to refer you to another health care provider to receive certain services. We will share information with that health care provider in order to coordinate your care and services. b. Payment. Disclosure of your health information may be necessary to bill and receive payment from you, an insurance company, or another third party for the health care services you receive from us. We also may disclose health information about you to your health plan in order to obtain prior approval for the services provided to you, or to determine that your health plan will pay for the treatment. c. Health Care Operations. Your health information may be disclosed in order to perform the necessary administrative, educational, quality assurance, and business functions of our clinic. For example, your health information may be used to evaluate the performance of our staff in caring for you. 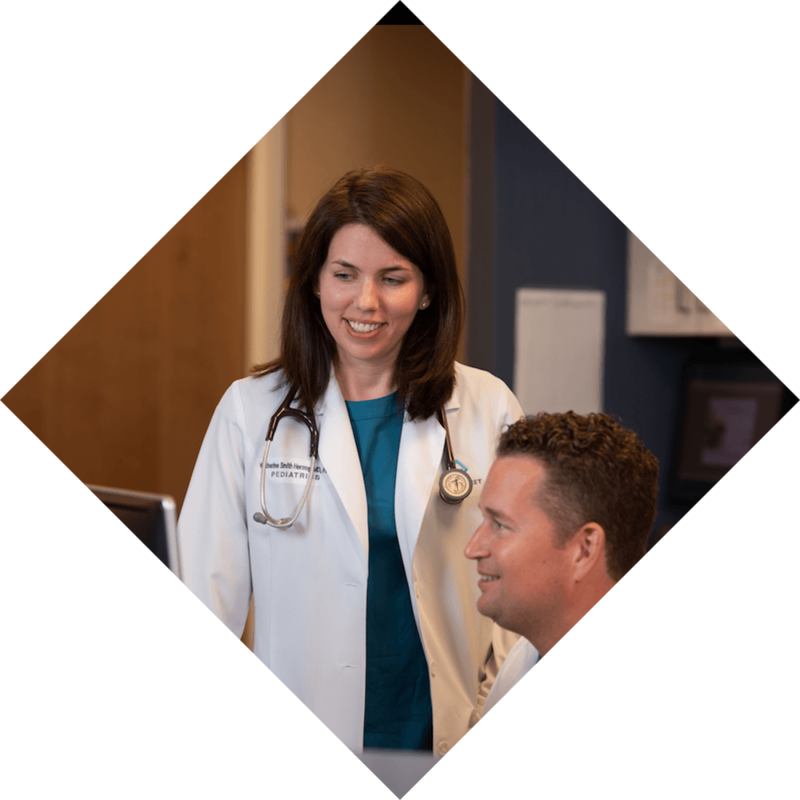 We also may use your health information to evaluate whether certain treatment or services offered by our clinic are effective. In addition, we may use a sign-in sheet at the registration desk where you will be asked to sign your name and indicate your physician. We may also call you by name in the waiting room when your physician is ready to see you. C. USES AND DISCLOSURES OF HEALTH INFORMATION IN SPECIAL SITUATIONS. 1. Appointment Reminders. Your health information may be used for purpose of contacting you to remind you of a health care appointment. 2. Treatment Alternatives & Health-Related Products and Services. Disclosure of your health information may be necessary in the process of informing you of treatment alternatives or health-related products or services that may be of interest to you. For example, if you are diagnosed with a diabetic condition, we may contact you to inform you of a diabetic instruction class that we offer at our clinic. 3. Family Members and Friends. Your health information may be disclosed to individuals, such as family members and friends, who are involved in your care or who help pay for your care. We may make such disclosures when: (a) we have your verbal agreement to do so; (b) we make such disclosures and you do not object; or (c) we can infer from the circumstances that you would not object to such disclosures. For example, if your spouse comes into the exam room with you, we will assume that you agree to our disclosure of your information while your spouse is present in the room. We also may disclose your health information to family members or friends in instances when you are unable to agree or object to such disclosures, provided that we feel it is in your best interests to make such disclosures and the disclosures relate to that family member or friend’s involvement in your care. For example, if you present to our clinic with an emergency medical condition, we may share information with the family member or friend that comes with you to our clinic. 4. Marketing – Longstreet Clinic will not use or disclose your health information for marketing purposes without an authorization. 5. Sale of PHI – The sale of health information without the express written authorization of the individual is prohibited. 6. Fundraising – Your provider may contact you to raise funds. You may opt out of receiving fundraising communications. 7. Health Information Exchange – Longstreet Clinic participates in the HealtheConnection Health Information Exchange, a secure network through which your health information is shared with your other healthcare providers as necessary, and as permitted under Federal and State law. You have the right to opt out of HealtheConnection. For more information please call 770-533-6580. 1. As required by law. We may disclose your health information when required by federal, state, or local law to do so. For example, we are required by the Department of Health and Human Services (DHHS) to disclose your health information in order to allow DHHS to evaluate whether we are in compliance with the federal privacy regulations. 2. Public Health Activities. Your health information may be disclosed to public health authorities that are authorized by law to receive and collect health information for the purpose of preventing or controlling disease, injury, or disability; to report births, deaths, suspected abuse or neglect, reactions to medications; or to facilitate product recalls. 3. Health Oversight Activities. Your health information may be disclosed to a health oversight agency that is authorized by law to conduct health oversight activities, including audits, investigations, inspections, or licensure and certification surveys. These activities are necessary for the government to monitor the persons or organizations that provide health care to individuals and to ensure compliance with applicable state and federal laws and regulations. 4. Judicial or administrative proceedings. We may disclose your health information to courts or administrative agencies charged with the authority to hear and resolve lawsuits or disputes. Disclosure of your health information pursuant to a court order, a subpoena, a discovery request, or other lawful process issued by a judge or other person involved in the dispute may be necessary, but only if efforts have been made to (i) notify you of the request for disclosure or (ii) obtain an order protecting your health information. 5. Worker’s Compensation. When your health condition arises out of a work-related illness or injury, we may disclose your health information to worker’s compensation programs. 6. Law Enforcement Official. Your health information may be disclosed in response to a request received from a law enforcement official to report criminal activity or to respond to a subpoena, court order, warrant, summons, or similar process. 7. Research. Under certain limited circumstances, we may use or disclose your health information for research purposes. 8. To Avert a Serious Threat to Health or Safety. When necessary to prevent a serious threat to the health or safety of you or other individuals, we may use or disclose your health information. 9. Military and Veterans. If you are a member of the armed forces, we may use or disclose your health information as required by military command authorities. 11. Inmates. If you are an inmate of a correctional institution or under the custody of a law enforcement official, we may use or disclose your health information to the correctional institution or to the law enforcement official as may be necessary (i) for the institution to provide you with health care; (ii) to protect the health or safety of you or another person; or (iii) for the safety and security of the correctional institution. 12. Coroners, Medical Examiners, and Funeral Directors. We may disclose your health information to coroners, medical examiners, and funeral directors for the purpose of identifying a decedent, determining a cause of death, or otherwise necessary to enable these parties to carry out their duties consistent with applicable law. Except for the purposes identified in Sections B through D, we will not use or disclose your health information for any other purposes unless we have your specific written authorization. You have the right to revoke a written authorization at any time as long as you do so in writing. If you revoke your authorization, we will no longer use or disclose your health information for the purposes identified in that authorization, except to the extent that we may have already taken some action due to your previously signed authorization. Uses and Disclosures Subject to State and Other Laws. In addition to the federal privacy regulations that require this notice (called the HIPAA regulations), there are Georgia and other federal health information privacy laws. These laws on occasion may require your specific written permission prior to disclosures of certain particularly sensitive information (such as mental health, drug/alcohol abuse, or HIV/AIDS information) in circumstances that the HIPAA regulations would permit disclosure without your permission. Longstreet Clinic is required to comply not only with the HIPAA regulations but also with any other applicable laws that impose more strict nondisclosure requirements. You have the following rights regarding your health information. You may exercise each of these rights, in writing, by providing us with a completed form that you can obtain from Longstreet Clinic Medical Records Department. In some instances, we may charge you for the cost(s) associated with providing you with the requested information. Additional information regarding how to exercise your rights, and the associated costs, can be obtained from Longstreet Clinic Medical Records Department. 2. Right to Amend. You have the right to request an amendment of your health information that is maintained by or for our clinic. We may deny your request if it is not properly submitted or does not include a reason to support your request. We may also deny your request if the information sought to be amended: (a) was not created by us, unless the person or entity that created the information is no longer available to make the amendment; (b) is not part of the information that is kept by or for our clinic; (c) is not part of the information which you are permitted to inspect and copy; or (d) is accurate and complete. 4. Right to Request Restrictions. You have the right to request a restriction or limitation on the health information we use or disclose about you for treatment, payment, or health care operations. You also have the right to request a limit on the health information we disclose about you to someone, such as a family member or friend, who is involved in your care or in the payment of your care. For example, you could ask that we not use or disclose information regarding a particular treatment that you received. We are not required to agree to your request. If we do agree, that agreement must be in writing and signed by you and us. You have the right to request that your provider restrict certain health information from disclosure to health plans where you pay, out of pocket in full for the care. 5. Right to Request Confidential Communications. You have the right to request that we communicate with you about your health care in a certain way or at a certain location. For example, you can ask that we only contact you at work or by mail. 7. Notification of Breach. You have the right to receive notifications whenever a breach of your unsecured health information occurs. If you have any questions regarding this Notice or wish to receive additional information about our privacy practices, please contact our Privacy Officer at 770-533-6580. If you believe your privacy rights have been violated, you may file a complaint, in writing, with our clinic or with the HHS Office of Civil Rights (OCR). There will be no retaliation for filing a complaint with either the Longstreet Clinic Privacy Officer or OCR.